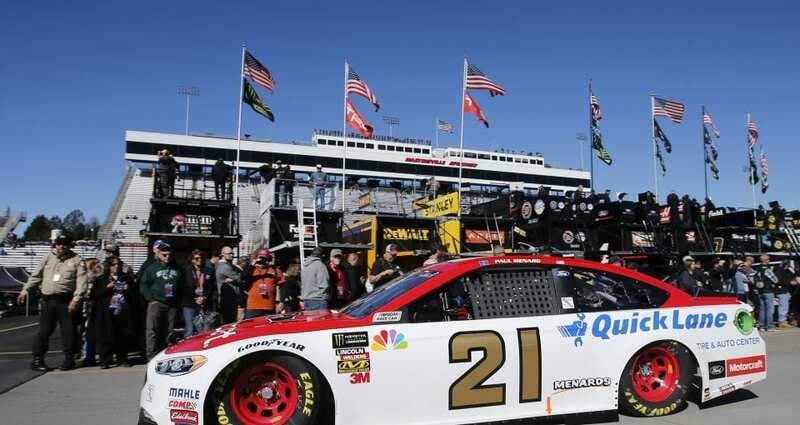 After experiencing a rare mechanical issue during qualifying on Saturday at Martinsville Speedway, Paul Menard and the Motorcraft/Quick Lane team will start Sunday’s First Data 500 with a fresh engine under the hood of the No. 21 Fusion. Menard started Saturday with good speed, posting a best lap at 94.685 miles per hour in the opening practice session, which put him 12th on the speed chart. In the opening round of qualifying, he ran just three laps, all of which were more than two seconds off his prior laps in practice. This made it more than apparent there was an underlying issue causing his Ford to be so far off the pace. Once it was clear there was no quick solution, the team decided to go back to the garage, forfeit their remaining time in qualifying and try to diagnose the problem. The only option remaining after a quick once-over was a full engine change and that’s what the team did. Eddie Wood said he’s confident the problems with the No. 21 Fusion have been resolved. “If you’re going to have some issues, it’s better to have them before the race starts,” he said. Sunday’s First Data 500 is set to start just after 2:30 p.m. Eastern Time with TV coverage on NBCSN.